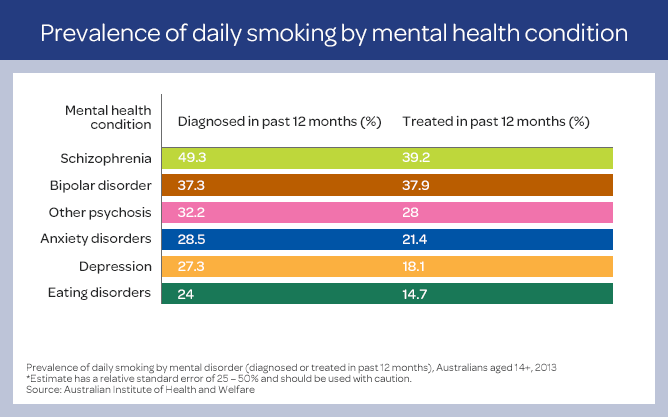 Overall rates of smoking are seeing a decline in Australia, however smoking in mental health populations are still high. 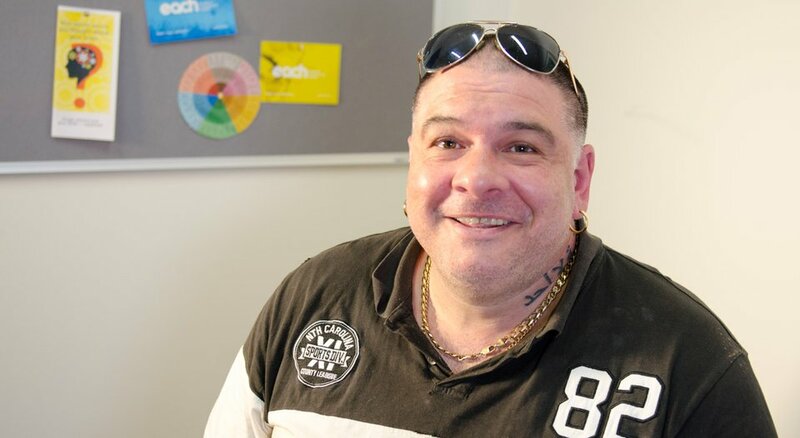 Anthony, who is living with a mental health condition, successfully quit after 30 years of smoking. While the prevalence of smoking is declining in the general community, it remains high among people with mental illness. Compared with the general population, people with mental illness have higher smoking rates, higher levels of nicotine dependence, and a disproportionate health and financial burden from smoking. Approximately 33% of people experiencing mental illness continue to smoke. Why is it so important to tackle smoking with people with mental health conditions? Smoking is a key contributor to an average reduced life expectancy of up to 10–20 years for people living with mental illness. This is largely due to the increased incidence of lung disease, heart disease and a range of cancers. Smoking is also associated with an increased risk of suicidality. A 2015 systematic review and meta-analysis also found that daily tobacco use is associated with an increased risk of psychosis and an earlier age at onset of psychotic illness. Smoking interacts with the metabolism of some medications which may necessitate high doses of medications such as antipsychotics for smokers compared to non-smokers. Take a look at the reasons Thomas Embling Forensic Psychiatric Hospital went smoke free in 2015. For ideas and tips to support your consumer to quit, visit this page.